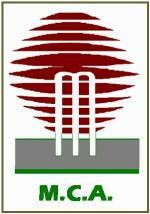 The Manawatu Cricket Association is the governing body for cricket in the wider Manawatu region. The majority of the association is made up of members from Palmerston North but also has teams and players from Dannevirke, Pahiatua, Te Kawau and Feilding. Feilding Old Boys Oroua Rugby Football Club is a member of the Manawatu Rugby Union (MRU) which is the governing body of Rugby in the Manawatu rugby province. It is based in the city of Palmerston North but has club teams from nearby towns in the province, such as Feilding, Rongotea and Woodville. The Central Districts Stags are a New Zealand first class cricket team based in central New Zealand. It competes in the State Championship first class competition and the State Shield domestic one day competition. It is one of six teams that make up New Zealand Cricket. It comprises eight individual district associations, in Hawke's Bay, Horowhenua-Kapiti, Manawatu, Marlborough, Nelson, Taranaki, Wairarapa and Wanganui.